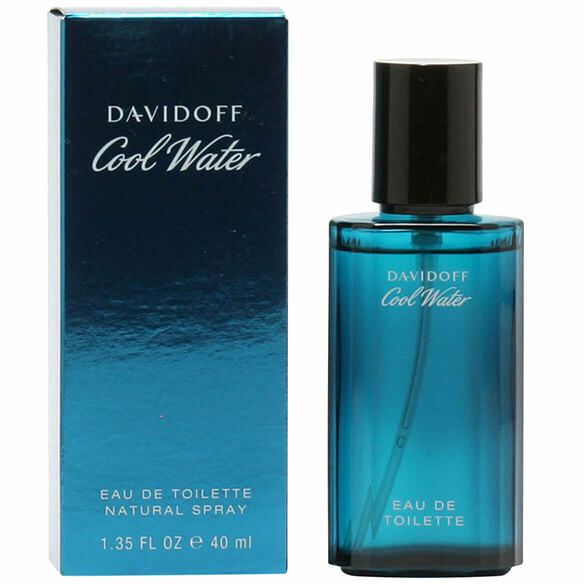 Cool Water by Davidoff lives up to it's name, with it's fresh clean scent and it's aromatic, ocean like quality. Its notes of mint, coriander, cedarwood and musk will make it hard for anyone not to notice how good you smell. Features top notes of Mint, Marine Note, Green Note and Coriander, middle notes of Geranium and Neroli and base notes of Oakmoss, Musk and Cedarwood. 1.35 fl. oz. An EDT spray. No express shipping. No shipping to PO boxes.